While mobile devices such as Smartphone and Tablet computers have been on the market for a relatively short amount of time, there is no denying that they are the future of personal computing and communications technology. In 2014, the number of people using mobile devices surpassed those using PCs, and there is no sign that this trend is going to end. Mobile computing is here to stay. One of the central aspects of the mobile revolution is the way that content is now presented to mobile users. 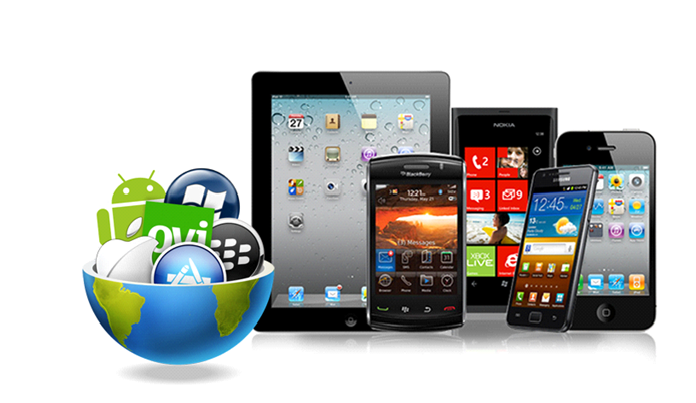 Mobile applications, apps, have become the standard way to deliver software solutions and experiences to devices. While adapting traditional websites and programs to be used on the smaller screens of mobiles is still important, there is no doubt that apps are what drives mobile use. And although many apps are written by amateur hobbyists or individual programmers working on their own time, the major apps that generate millions of downloads are almost exclusively the product of dozens of people working together to create a seamless app experience. 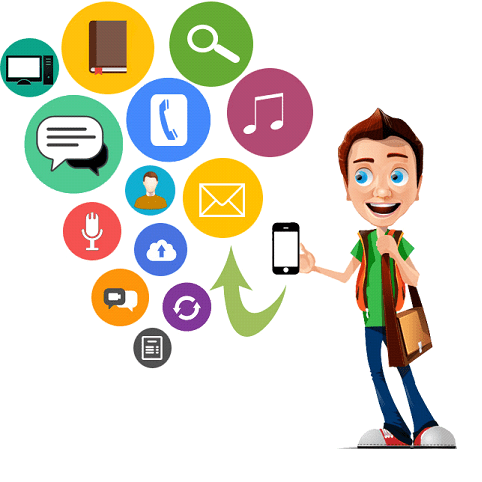 Mobile application development has gone mainstream, and it takes a great deal of cooperation to create a successful app. In order for an app to be successful, both the front-end user experience and the back-end server functionality need to be considered simultaneously. Additionally, security concerns, possible monetization, and app store placement and marketing need to be settled before an app hits the market, not after. Determining the app’s actual function and how to deliver it to the consumer is a crucial part of app development. Much of the front-end work of app development focuses on the User Interface (UI). This work aims to look at the app from the point of view of the end user. The development team has an idea of what the app should be – a game, a social media interface, a calendar tool, etc – and they use UI tools to figure out how to deliver their vision to the customer. Much of the work in UI deals with the problems of how the app should look, including how it scales to different size screens, how it feels in the hands, how easy it is to understand, how the colors interact with each other, and so on. The ultimate goal of UI development is to create an app that on the user’s end is easy to use and delivers the experience quickly and accurately. These days, very few major apps are stand-alone programs where once the user downloads it, the app never has any contact with the developers. Instead, many apps need to constantly stay in contact with back-end servers which deal with everything from authentication and log-ins to automatic updates to syncing information across multiple platforms. Security, especially in the case of protecting financial transactions and personally identifiable information, is also a large part of back-end development. These back-end systems must be developed in tandem with the front-end UI in order to create a seamless experience. Once the app is written and both the back-end systems and the front-end UI are ready for launch, there is still more to do. It doesn’t matter how good an app is, if no one downloads it, it is worthless. This is where app discovery, viral marketing, and app store SEO techniques need to be implemented in order to get the app noticed by the masses and into the hands of the end users. One final thing to consider, depending on the type of app and the eventual goal of the project, is how to monetize the app at some point in the future. Whether it is through subscription services or in-app advertising, it is important for the development team to consider monetization ideas ahead of time, so that they can quickly and easily integrate them into the app when the time comes. For many individuals or small firms looking at starting on the road to app development, the amount of work that goes into mobile app development seems daunting. However, with a lot of hard work and a good plan from the beginning, even the smallest ideas can eventually blossom into hugely successful apps. Don’t go running without these apps! Great piece, I learnt so much from this. I’d never thought much about the process of app development and user interface but you’ve given me plenty of food for thought! Excellent article. Keep it up.